Dinosaurs were the kings and queens of Jurassic era. From the size of a rabbit to a mini hill, dinosaurs ruled the land and air. They were the ultimate predators. It was popular belief that no human ever saw a dinosaur with his/her own eyes. 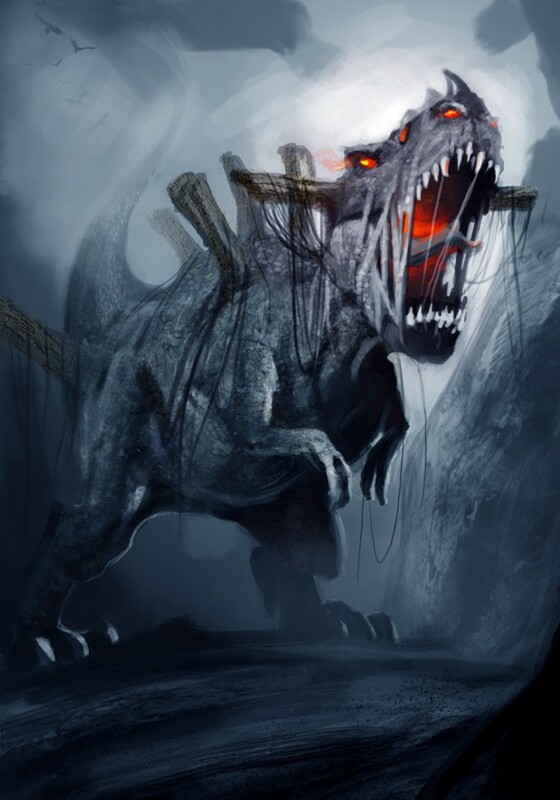 However, some modern discoveries are suggesting that humans indeed saw dinosaurs and called them dragons. But even is someone saw a dinosaur thousands and thousands of years ago, it is of no use to us. Yet, we do have pretty solid ideas of what they looked like, how they moved and what sounds they made. We have so clear ideas that we even made films on them, Jurassic Park series (one of the most popular film series of all time). But you’ve seen the movies, so we won’t be talking about them today. Instead, we will be presenting a collection of dinosaur illustrations. All these are highly detailed digital artworks and if you are a fan of such art, you’ll sure love this post. All the titles/names of the images are linked back to the creator’s page. You can pay your compliments to the painter by clicking on those links. Animals off Jurassic age add a unique kind of mysteriousness to a romantic sunset. Early morning twilight. The dinosaurs try to show attitude to the mighty mammoths. Fun fact: mammoths are the ancestors of today’s elephant. You know, the inspiration of mythical creature dragon comes from dinosaur. Waterspout was another animal in the Jurassic era. We don’t know much about these creatures because they don’t have a movie named after them. Believe it or not, Africa was full of dinosaurs. Africa also holds the pride for being the birthplace of human. Africa is still called the nature’s land… what’s so special about Africa? The poor guy in this illustration is an ankylosaurus. They had horns to defend themselves, but nothing worked against a T-rex. Things were mostly brutal, very brutal in Jurassic era. Just imagine yourself, walking down on a lonely path during night, in a dark jungle. You make a turn and suddenly a huge dinosaur is in front of you. Now try not imagining this scene when you go to bed tonight. Is it a demon? Is it a dragon? Nope, just a friendly neighborhood dinosaur. Good thing they don’t exist anymore, or you could be that guy. This is a lizard, but of Jurassic proportions. You know sometimes you take a midnight stroll in the empty roads. It’s a calming but cheerful experience. Now let’s see what dinosaurs did on their midnight strolls. These were the times when humans were not at all the superior race. That’s all folks. See you tomorrow.